I first saw one of Dr. Sanjay Gupta’s YouTube videos on heart health and I was hooked. Dr. Gupta is a cardiologist in York, England. 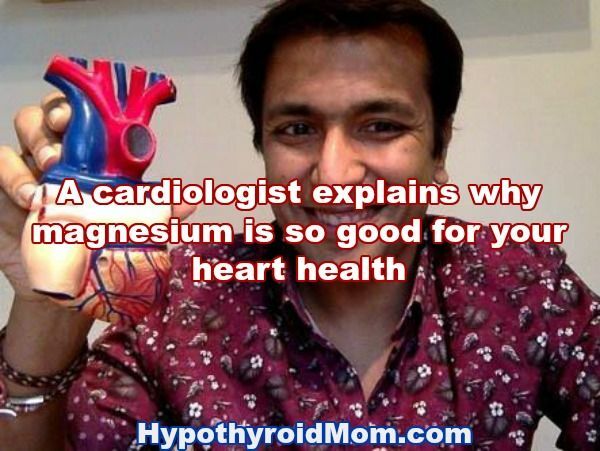 He explains how important magnesium is for everyone to maintain good heart health. I want to talk today about magnesium and why it is so very good for us and yet we take in so little of it. I think that part of the reason there is so much illness at the moment has something to do with magnesium deficiency. Magnesium has helped people in a big way. It’s not just with regards to ectopic heartbeats, which I talk about a lot in my YouTube videos, but generally people have felt better. Why is magnesium so good for the heart? The first thing to say is that ultimately the majority of the problems that arise with regards to health are based around something called inflammation. Inflammation is when the body starts reacting to external influences and because it is reacting over a number of years causes long-term changes within the body. Ultimately the result is that it is harder for the heart to get blood around the body. The big problem is that if you have long-term inflammation you will get development of hardening of the arteries and blood doesn’t get where it needs to as easily. As time progresses blood gets there less easily and less easily and eventually areas of the heart, areas of the brain, areas of various parts of the body start lacking blood. This is why people develop high blood pressure because the heart has to work much harder to generate higher pressure to try and get blood through to the vital organs. Anything that reduces inflammation is a good thing. Anything that improves blood flow to the vital organs is a good thing. Anything that thins the blood ever so slightly to improve the flow of blood or stops the blood from thickening up so that it flows more smoothly is a good thing. And magnesium has all these properties. Magnesium is both a mineral and an electrolyte. It is the fourth most abundant mineral in the body. It is necessary for electrical activity in the heart and the brain. It is a cofactor in more than 300 reactions within the body. The recommended daily allowance is about 400 to 420 milligrams for men and 310 to 360 milligrams for women. Our daily intake is actually a lot less than that. The majority of people take in between 240 to 370 milligrams at most. 75% of people take in less magnesium than they should. Of the magnesium we take into our bodies, 30 to 40% is absorbed within the gut. Some of it is excreted through the kidneys but the kidneys reabsorb it. Magnesium is very interesting because only 1 or 2% is available in the blood. 67% is in the bone and 31% is around about in the cells within the body. So when you measure it in the blood, you’re only measuring a very tiny proportion of what is actually around. The majority of us are all magnesium deficient. The reason is we’re firstly not taking in enough and the reason for that is there are modern farming methods that deplete the magnesium in our soil and there is processing of food which depletes magnesium. The magnesium that we take in from our food is a lot less because of what’s been done to the food. Then when we take the magnesium in, we don’t absorb it from our stomachs as well. Part of the reason for this is a lot of us are on proton-pump inhibitors, PPIs, these are tablets people take because they have indigestion and acid reflux. Why do we have reflux? Because of the bad food that we are being fed. These PPIs inhibit the production of acid in our stomachs but actually acid is really necessary. We were born to have acid in our stomachs. That’s how we digest things. And if you block the secretion of acid then we are going to absorb less of what we should be absorbing. It is well proven that PPIs reduce the amount of magnesium within the body because you are not absorbing as much. Similarly, carbonated beverages will also reduce the amount of absorption of magnesium in our bodies. Then whatever magnesium we are absorbing, we are using up too much. We are using a lot more magnesium nowadays than we did several hundred years ago. Why is that? Because stress uses up magnesium, and we’re all stressed. Lack of sleep uses up magnesium, and we all get too little sleep. Because sugar intake uses up magnesium, and we’re all taking in too much sugar. And then also, we are excreting larger amounts of magnesium. Things like coffee, tea, diuretics reduce the absorption of magnesium. We’re being hit from so many different angles that it’s not surprising that we are all deficient in magnesium. Many people are tired and magnesium deficiency can cause tiredness. Many people don’t sleep particularly well and magnesium deficiency can cause insomnia. Many people have constipation or bowel disturbances and magnesium deficiency can cause that. Many people feel anxious and get depressed and magnesium deficiency has been associated to both. Many people complain of heart fluttering or heart palpitations and magnesium deficiency can certainly do that. Many people develop hardening of the arteries and high blood pressure and magnesium deficiency can do that. Many people have diabetes and taking in more magnesium is better for diabetic control. Many people have osteoporosis and magnesium deficiency can cause that too. These signs may not be immediately obvious but when you look at it over a number of years you will find these things have crept up on you without you realizing it. It could be something as easy as the fact that you haven’t been getting as much magnesium as you should over the last 20 years. How do you measure magnesium deficiency? The blood test is pretty much useless because I told you earlier you’re only really measuring one or two percent of what’s your total magnesium count. I wouldn’t rely on the blood test. The only time that test may be useful is if you are very deficient and the blood test confirms it. However just because your blood test shows your magnesium levels are okay that doesn’t mean that they are. A better way to measure magnesium is to measure the content of magnesium in the blood cells, measuring the intracellular content, or measuring how much magnesium you are excreting through the urine. You can get red cell magnesium content or urinary magnesium level done, but these tests are not easy to get and not easily available. Some doctors will say, “Oh your magnesium levels are fine based on your blood test.” I wouldn’t rely on the blood test. Why haven’t I been told about magnesium? One, it is difficult to measure. Two, there is not much big research being done on it because no one really profits from it. People are interested in doing big research on new wonderful expensive drugs. Most of the research is driven by pharmaceutical companies and, therefore, no one really looks at simple things like this. However if you go online to PubMed you’ll find tons of small studies that show the benefits of magnesium. It does have a small anticoagulant effect. It does have an anti-inflammatory effect. It is also a vasodilator (opens up the blood vessels allowing more blood to get to the vital organs, reducing pressure on the heart) which is really good. How do you get more magnesium? The first thing to say is that it is very important to be more responsible about what you’re eating. Try to get a better intake of magnesium naturally if you can. Eat more magnesium-rich foods like almonds, spinach, cashew nuts, peanuts, and avocados. You want to be sure they have been grown in good organic soil that has not been magnesium-depleted. You can apply magnesium oil to your skin. There are ionic magnesium drops available. You can soak in epsom bath salts that contain magnesium. 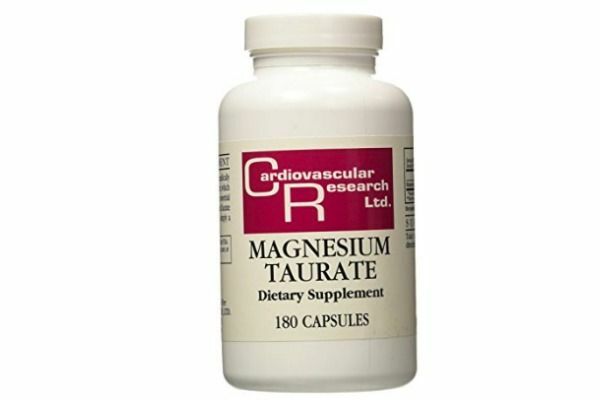 You can also take magnesium oral supplementation every day available in health food stores and vitamin shops. Can it be harmful to supplement with magnesium? A lot of people write to me and ask whether magnesium can be harmful? Truthfully it usually is not harmful, not unless you are overdosing. If you are taking a ton of magnesium, like 5,000 milligrams a day let’s say, whereas you usually really only need about 400 milligrams a day. If you don’t tolerate it well, you can get diarrhea and cramping. Normally if you take in more magnesium than needed, the kidneys will just excrete it but if you have kidney failure or if you have kidney problems then I recommend that you speak to your kidney specialist before you take magnesium. What kind of magnesium tablets do cause the diarrhea and cramping more? Magnesium carbonate, magnesium gluconate, magnesium chloride, and magnesium oxide tend to cause more diarrhea. However if you take things like magnesium glycinate then that’s a lot better. It’s worth paying attention to your magnesium intake because you may find that just taking a little bit of magnesium will sort out a lot of your problems and you will feel better. So try it and let me know how you get on. My name is Sanjay Gupta. I am really, really grateful to you for reading this article at Hypothyroid Mom and for watching my videos on YouTube. I am overwhelmed with the kind words you write. Please keep them coming. I would be grateful if you would share this article. One of the pleasures for me is to come online and see comments from people. It gives meaning to my life. Dr. Sanjay Gupta is a consultant cardiologist practicing at at the Nuffield Hospital in York, England. His research has been published in a number of publications including the Journal of Cardiology, Annals of Clinical Biochemistry, Circulation, European Heart Journal, and Radiology. You can find Dr. Gupta on his website York Cardiology as well as his two YouTube channels York Cardiology and More Than Just Medicine. deficiency. We have known this for decades (only 40% of what we need). done more good than you can ever realize. tds , MA, MS, PharmD. Love my magnesium! I have had 2 kids and during both pregnancies I started getting uncomfortable heart palpitations. With my first I was put on a low dose statin which not only didn’t really work, I later found out was actually not approved for pregnancy. Thankfully the second time around, I found magnesium instead. It worked, was safe for me and baby and helped me deal with so many problems from controlling my palpitations to restless legs to middle of the night cramps to regularity to calmness when my preggo brain decided to get anxious… such a great tool. So glad to see cardiologists really starting to embrace this basic tool for actual healing! I never knew what was in my mind, but I can now picture restless tigers. Can you explain what a pico measurement is and is liquid chloride a magnesium? I think he was trying to say that glycinate is a better form than oxide. But for heart health taurate is the best. Really depends on what your goals are, some say magnesium threonate is good for brain health. Can I take magnesium if I’m taking Pradaxa. ?